Very good value, looks good. Mirrored door can make it difficult to see inside. Wellco may not be the best known of appliance brands, but in the MW202 they provide a very affordable grill microwave, offering excellent value for money. 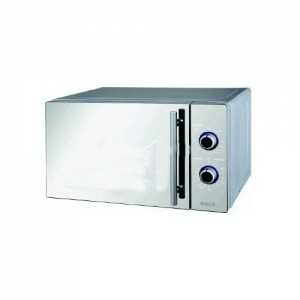 At only 20 litre capacity it is a touch on the small size, and may suit smaller households - however it does boast a 800w power output when in microwave mode, as well as a high powered 1000w output when using the grill. The controls are well laid out, and simple to use, with the timer offering a maximum of 95 minutes - ideal for those who like to slow cook foods for longer time periods. The mirrored finish looks smart - however it means it can be a little difficult to see the food, especially when the microwave is near a window or light source. Overall it worked well, and despite not being hugely familiar with the manufacturer, we'd recommend this silver microwave oven for those looking for a grill microwave on a budget. 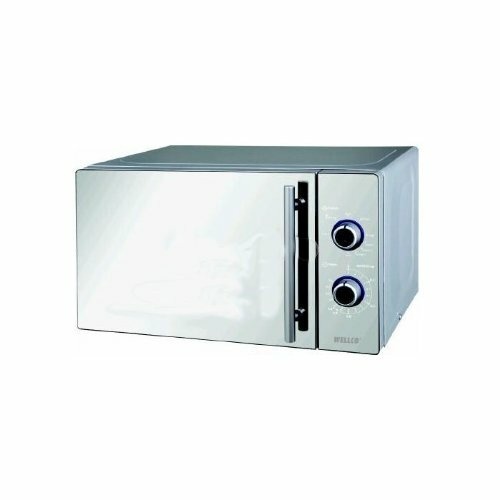 This microwave from Wellco offers very good value, and works well. If you're on a budget, and need a grill microwave, then you could do a lot worse than consider this model.